Hands-on: Nomad Base Station Apple Watch Edition - charge multiple devices at once! - iPhone Unlocking..
Home9 To 5 MacHands-on: Nomad Base Station Apple Watch Edition – charge multiple devices at once! Hands-on: Nomad Base Station Apple Watch Edition – charge multiple devices at once! We go hands-on with Nomad's Base Station — a device that can charge your Apple Watch, AirPods (with a wireless adapter until the 2nd-gen AirPods ship) and iPhone. iPhone SE in 2019…does it still hold up? iOS 12.2 beta 1 Changes and Features! Review: Blackmagic eGPU Pro – is it worth $1200? Review: iPhone XS/Max & XR Smart Battery Case – Is it worth $129? 2018 MacBook Air Windows 10 RTX 2080 eGPU gaming setup! 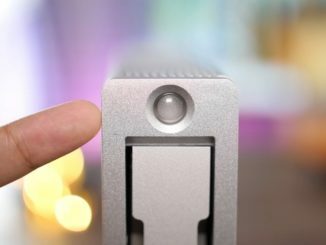 The best Thunderbolt 3 accessories for Mac! 2018 Mac mini + Nvidia RTX 2080 eGPU! Good for gamers? 2018 Mac mini + eGPU = Windows gaming machine! 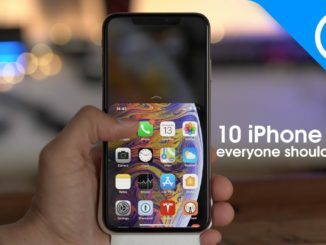 10 iPhone tips everyone should know! 32 Comments on Hands-on: Nomad Base Station Apple Watch Edition – charge multiple devices at once! Ghost227 probably cause it actually exists. WOW! Thisone looks amazing. charging station does not heat up? Not unless you stick metal on it. Denis Elis yeah cheaper is great if this was a $20 product but it’s a premium price so I expect premium charging. Good try though. 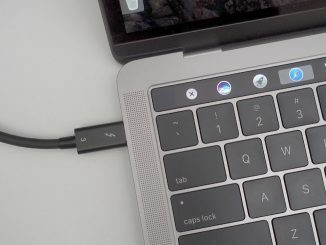 iPhone X, XR, XS and XS Max do not have a USB-C port…. No apple product has barrel plugs. All electronics coming out from now on will be usb c including the new iPhones, laptops and tablet. Also every other electronic device that’s non apple will be usb c also, so you will only cable. However with this thing that supposedly has attention to detail, according to the reviewer uses a barrel plug. So since you are defending this so hard go ahead and buy it and you can forever have to keep some random barrel plug. I can promise you I won’t be buying it. All electronics??? Even $150 TVs at Walmart?? How about budget Dell laptops under $300?? You sound so sure of your self, I’ll bet you know who will win the 2020 election and the next Super Bowl! Denis Elis actually I do. Brittany Spears 2020, and the Milwaukee brewers will win the super bowl. A dumb answer like yours deserves a dumb response. If your not smart enough to understand what I meant then good luck to you in life. Take care. Bought this for my wife at Christmas and she absolutely loves it. Apple Watch charges and displays nightstand mode at night while at the same time charging her AirPods and iPhone XR as the review described and it looks good and clean! Waiting to get another one for myself! Hyperlinks make one. There’s some YouTube videos out there showing how to do just that. That, is an excellent idea. I do know my way around a 3D Printer, but I have yet to dabble with custom electronics. I think I will give this a try though! Nope. That’s the version sans Apple Watch MFi charger. You didn’t mention if that bar under the watch charger is adjustable for people with protective cases on their Apple Watch’s. It’s not. It’s just a little rubber landing spot. 9to5Mac so is it easily removable? Because it seems like it’s only just enough room for a watch without a case. 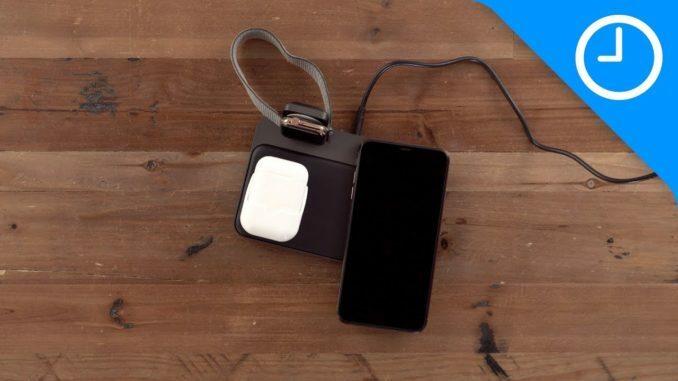 This seems perfect for someone who has a lot of devices that need charging. I personally don’t have anything that supports wireless charging. I only have an iPhone 6s. I almost fell asleep while watching this because of this guy’s voice. What about the belkin wireless charging dock? Mine didn’t come with international chargers!! Looks like garbage and uses a flipping barrel plug!! Wait 3 years. 7-11 will sell similar charger for $20. The rubber bar under the Watch charger covers the loudspeakers of AW 4 which reduces the alarm clock sound. Some 2 cutouts in the bar should solve this little problem. Beside of this, the device is working fine. I have it in daily use for some month now.